In the parallel universes of Western design and architecture, the middle of the 20th century was a time of clean lines, bold graphics, and organic geometry. Fussy ornamentation was largely banished in favor pure forms, producing the distinctive, modernist aesthetic that continues to dominate home furnishings and product design to this day. 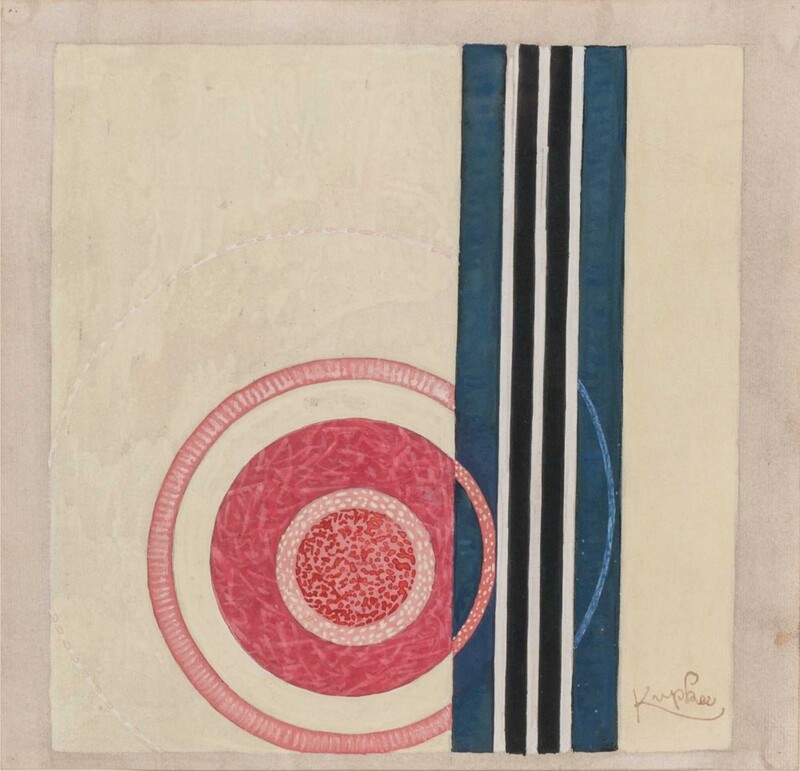 Our preview of the Leclere auction begins with a gouache-on-paper composition by Czech artist Frantisek Kupka (1871-1957), who was one of the founding members of a group called “Abstraction-Création” when this piece was created circa 1935. At the time, Kupka’s Parisian contemporaries included Hans Arp and Jean Hélion, but this little gem also suggests such influences as Robert Delaunay and Kazimir Malevich. While this study would eventually lead to larger and more polished works, this piece succeeds by staying casual and even jaunty, right down to the artist’s signature. 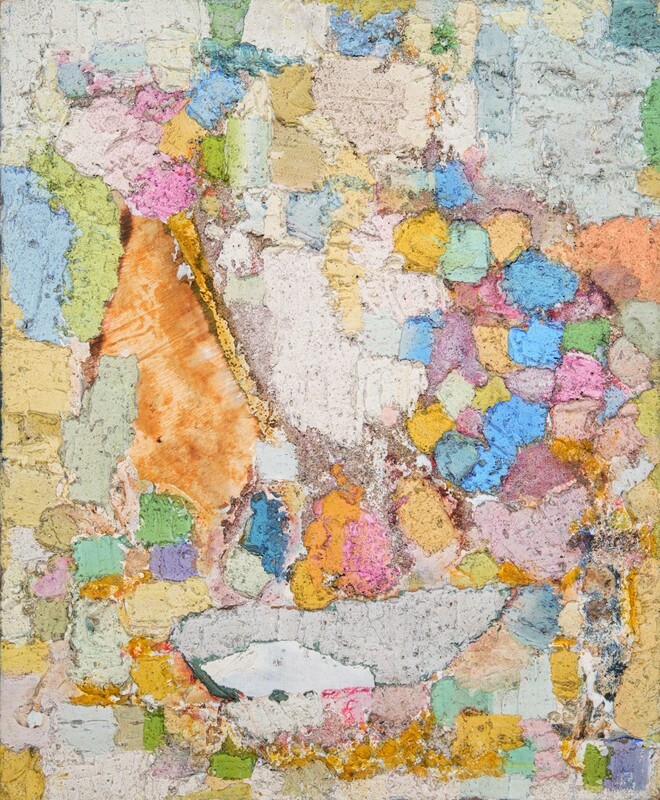 A year later, a contemporary of Kupka’s named Alberto Magnelli (1888-1971) was experimenting with abstraction, as seen in this untitled oil on canvas. 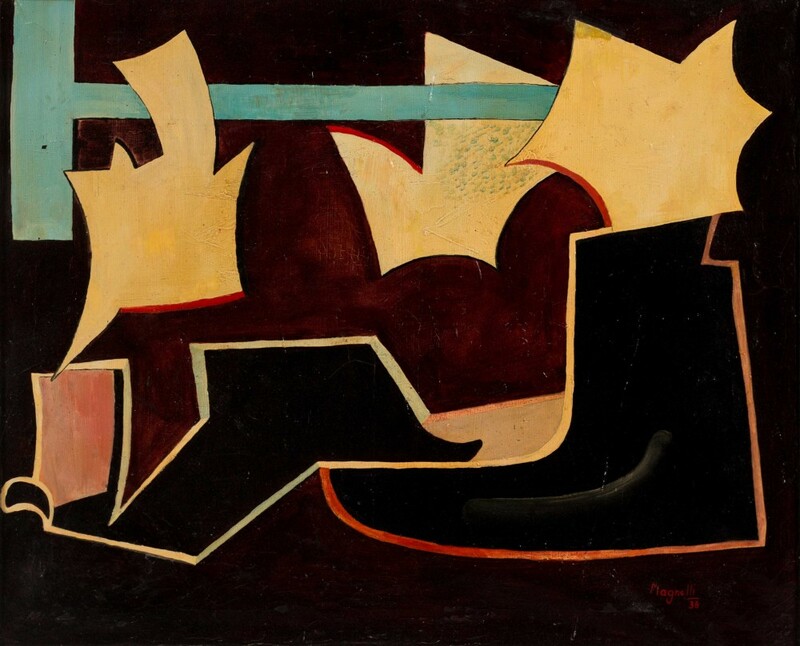 Despite its small (51 x 62 cm) size, Magnelli’s painting packs a punch, with its yellow shapes appearing to dance against the dark background behind. As with Kupka, for Magnelli, Paris was a home away from home, a more fertile incubator for his talents than even his native Florence. Prior to making his mark as a French Nouveaux Realist in the 1960s, Martial Raysse was building mixed-media canvases that melded some of the characteristics of the Abstract Expressionism of the 1950s with what appear to be aerial views of landscapes seen through a soft mist of fog. That allusion, to be clear, is merely a description of what caught the eye of one beholder, but Raysse’s early work left space for such flights of fancy. Today, he’s better known as the guy whose work still holds the record for commanding the highest price for any living French artist at auction—$6.58 million. 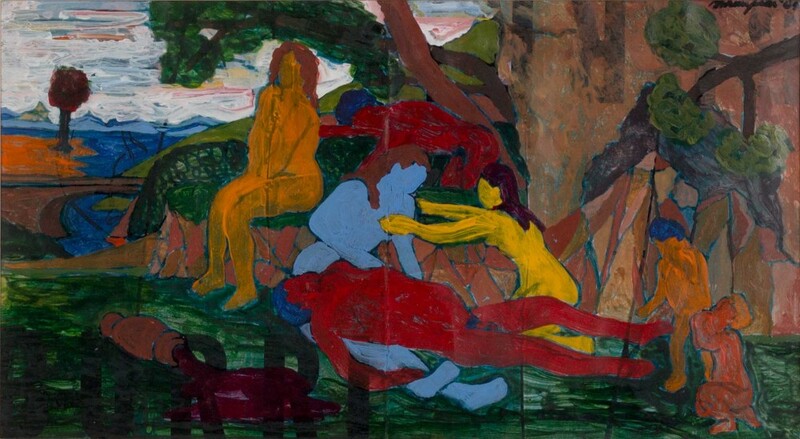 The all-too-short career of Bob Thompson (1937-1966) reached its peak in the mid-1960s, when the Kentucky-born artist was exhibiting his reimaginations of Old Master paintings at Martha Jackson Gallery in New York City. This “Lamentation” in acrylic on paper is one of those pieces. In many respects, Thompson definitely had his work cut of for him as an African American artist in the predominantly white New York art world, but his preference for figurative art at a time when Pop Art was king was no doubt—at times, anyway—just as challenging. 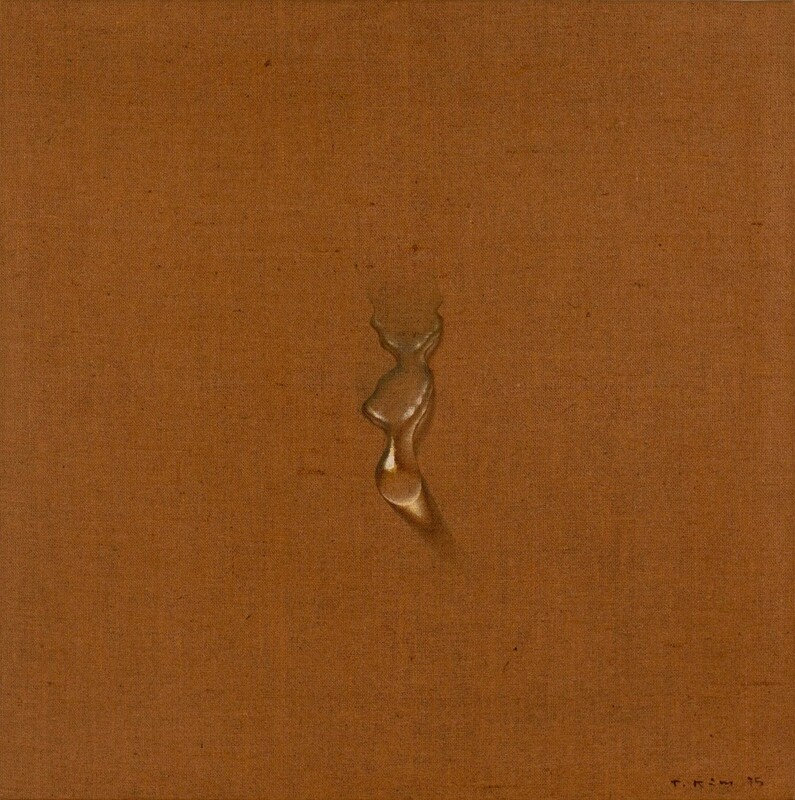 Korean artist Kim Tschang-Yeul’s “Water Drop” paintings often feature numerous drops of water against tan or brown backgrounds, but the oil-on-burlap example at Leclere gives us only one. But what a drop! Kim focuses his brush on the drop’s origin on the piece of cloth and follows its slow descent, pulled by gravity, light glinting off its tensioned surface, until it is just about to let loose from its surface and fall to the ground. Kim’s facility with tension and fluidity is impressive because he makes it looks so simple. During the years 1980, ’81, and ’82, Jean-Michel Basquiat (1960-1988) produced some of his most famous paintings, whose subjects were heads. This smaller untitled face with a demonic grin is clownish compared to those pieces, but Basquiat’s confidence wielding an oil stick in his hand brings gravitas even to this cartoony creation. 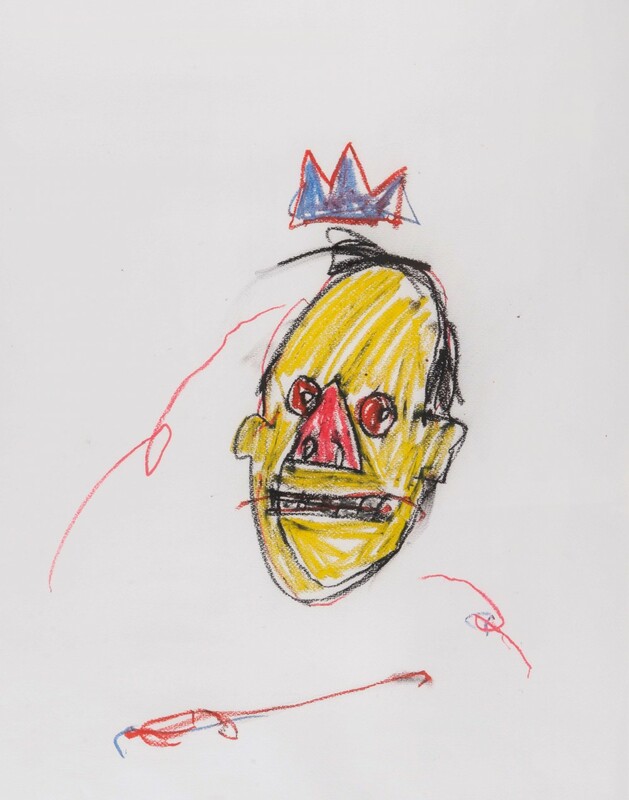 Another motif that dates this work on paper to 1982 is the crown floating over the clown’s head—for a while, Basquiat was indeed the king. Finally, inevitably, there’s Warhol, with whom Basquiat collaborated, although not on this piece, which was produced to raise money for an organization called Committee 2000. 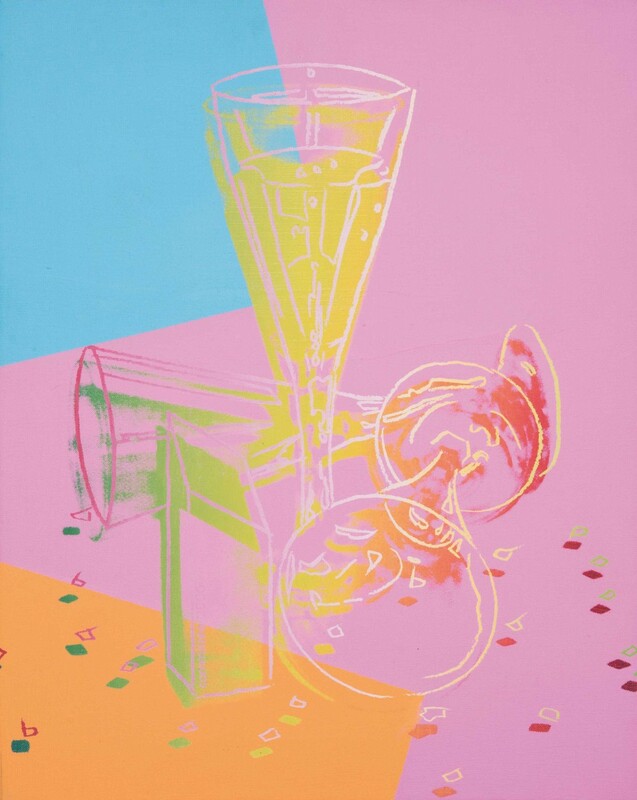 Warhol’s gift, among many, was to convince the viewer that he barely cared about his subjects, as in this trio of champagne glasses, two lying on their sides amid a spray of confetti. But Warhol’s composition, even in a piece with such a frivolous subject, is careful and specific; his colors, for all their garishness, are in their own way harmonious. As an artist, Warhol was far removed from the concerns of Kupka, but his work was every bit as committed to exploring the possibilities of its radically new aesthetic. Check out all art work from Leclere at Barnebys!